How Melissa Rid Her Weight Without Going Under the Knife- and Kept it Off! Last year was the start of a lifestyle overhaul for Melissa Erden. The 44- year old Sales Data Manager from South Derbyshire underwent the completely non- surgical Alevere Weight Reduction Therapy. Alevere therapy is more than just another short- term fad diet. It combines a calorie controlled regime with specialist weight loss therapies, designed to help tighten and contour the skin and prevent the patient from putting weight back on. Patients typically lose around 3-4 stone over the first 3 months of the plan. Before starting her body changing journey, Melissa spent years as a serial dieter. Zenith’s medical experts, where they discussed her personal weight loss goals, assessed any possible medical conditions, and explained what she could expect within her own plan. Melissa’s initial decision to follow the plan was not taken lightly. The programme, which starts at £200 per week, was a complete lifestyle overhaul. 1) Ultrasound Therapy: Helps to break down all of the fat stored underneath the skin. 2) Nutritional Therapy: Overseen by a medical expert, who will go through the permitted foods allowed within your diet. 3) Skin and Connective Tissue: Helps to firm and tighten the skin. 4) Stabilisation and Maintenance: Ensures that Melissa’s results are long term. But Melissa was as determined as ever to commit to the treatment, and reach her weight loss goals. “Going through the consultation process was a bit emotional. But I felt more assured about the whole process once I had sat down with Dr Maini. We went through my options, and it got me mentally prepared for my journey to better health” says Melissa. Melissa weighed in at just under 16st (101kg) before her treatment. The first stages of nutritional therapy involved the precisely designed, exclusive Alevere eating plan. This consisted of five protein- based Alevere products a day. 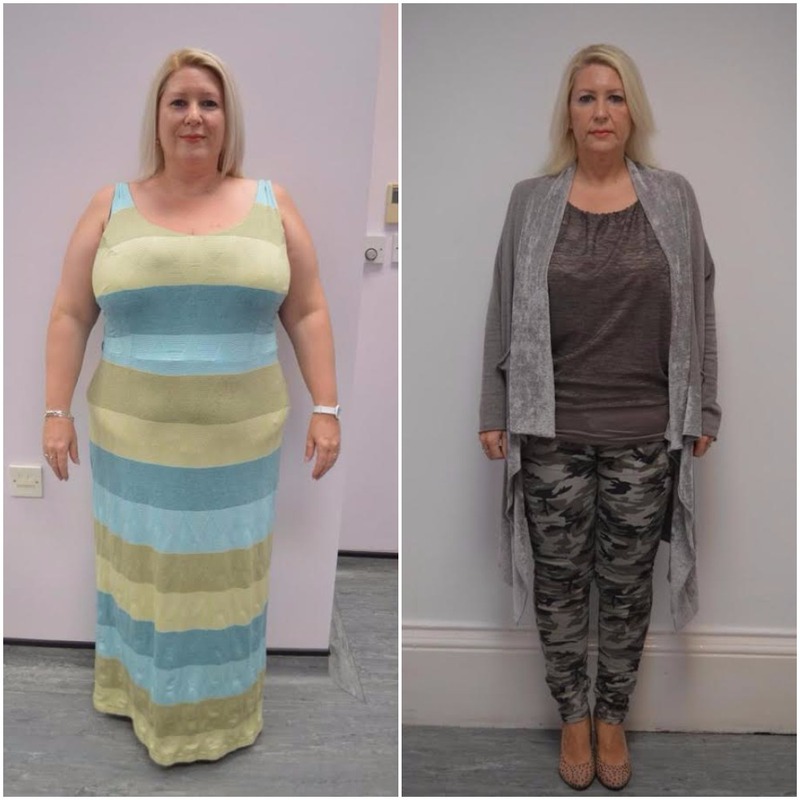 Melissa was given an allowance of around 700-800 calories per day allowance, with the occasional fruit and veg, but was never left feeling low on energy! Further on into the programme, other foods were slowly reintroduced into Melissa’s diet. Her new healthy eating habits were also complimented with a much more active lifestyle, with regular gym attendance now included in her activity. As Melissa started to drop the pounds, her Nutritional therapy then was combined with non-invasive Ultrasound therapy. Using the latest technology, the stubborn deposits of fat were gradually broken down, resulting in firmer, tighter skin over a period of several sessions. Zenith used the most advanced technology such as LPG machines to help sculpt and highlight the body she worked so hard for. The plan aims for a rate of weight loss of around 13- 26 lbs a month for most patients. Within the first week of her treatment, Melissa lost an impressive 9.3 lbs, without feeling groggy or lethargic, and a further 4.5 pounds the second week on the plan. Now at the end of her journey, Melissa’s results are staggering. She has lost an admirable 7st 6lbs, and is now down to just 8.7st (54 kg), and wearing a size-8. However, the aftercare didn’t just stop at the results. Melissa is now receiving monthly follow-up care post programme, to ensure her amazing results are maintained. Bariatric surgery is the term used in medical circles to describe the various forms of weight loss surgery available in the UK. There are three common forms of bariatric surgery; a gastric bypass, a gastric band or a sleeve gastrectomy. There are several names for this procedure; biliopancreatic diversion with duodenal switch or gastric reduction duodenal switch, but it is most commonly known as duodenal switch surgery & aims to reduce the stomach’s capacity by around 50%. A gastric bypass is a weight loss treatment solution for those who have a dangerously high body mass index, life-threatening condition due to weight, or obesity. A gastric bypass is a surgical procedure which involves the division of the stomach into two. A vertical sleeve gastrectomy is a surgical procedure that can help overweight patients to achieve a healthy weight. The procedure involves permanently altering the patient’s stomach making them feel fuller much quicker & consume less food as a result. Weight loss surgery (bariatric surgery and obesity surgery) may be an appropriate weight loss solution if other means to lose weight have proven unsuccessful. Weight loss surgery procedures; gastric band, gastric sleeve, gastric bypass & gastric balloon.